MAKERERE – Prof. Jianguo Chen from Tsinghua University has lauded Makerere University College of Computing and Information Sciences (CoCIS) on the Sci-tech innovations developed by the College to solve community problems. 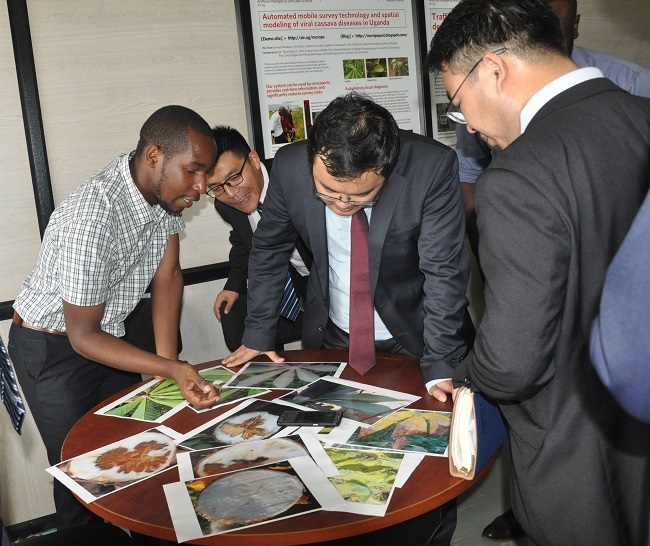 While on tour, at the Artificial Intelligence and Data Science Laboratory; one of Makerere’s most outstanding community based innovation, Prof. Chen was pleased with the way the lab operates to examine blood samples suspected of containing malaria parasites and the bacteria that causes tuberculosis by using a cell phone. 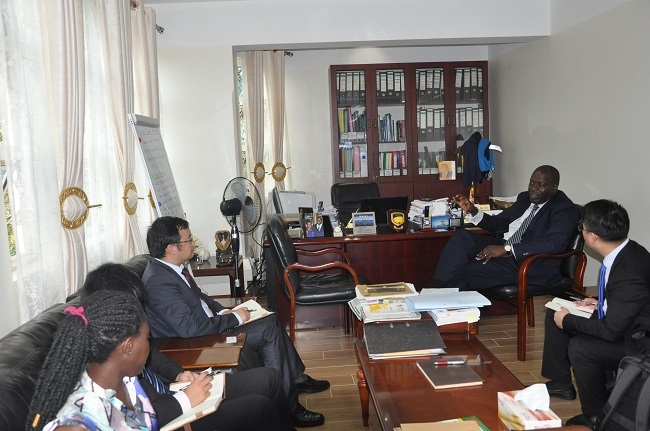 He pledged to share knowledge and information with Makerere on the modern Public Safety software developed by Tsinghua University, Institute of Public Safety Research. According to him, such information will help Makerere to run the Public Safety Lab that is yet to be established. “Through the College of Software Science, Tsinghua University does research and develops its own database, sensors and operational software. Such software includes; Smart firefighting Management Systems, Emergency Management Systems, Automated Response Systems and Pick Data Analysis Systems. With this information and Public Safety Laboratory in hand, Makerere will be able to monitor public safety,” Said Prof. Chen. Prof. Chen together with the delegation from Tsinghua University’s Institute of Public Safety Research; consists of Prof. Pang Wenjun, Prof. Zhang Tengbin and Assistant Prof. Tongtong Wang also visited the Sensors Laboratory, Software Systems Center, Big Laboratory, GIS Laboratory and COCIS Server Room all located at the College of Computing and Information Sciences, Makerere. The Principal, College of Computing and Information Science, Prof. Tonny J. Oyana thanked the Delegation for visiting the College and for their decision to establish a Public Safety Laboratory at Makerere University. He also appreciated the idea of sharing knowledge and Information on the software developed by Tsinghua University’s Institute of Public Safety Research.